Double-acting swing sink clamp with 90° swing cycle. 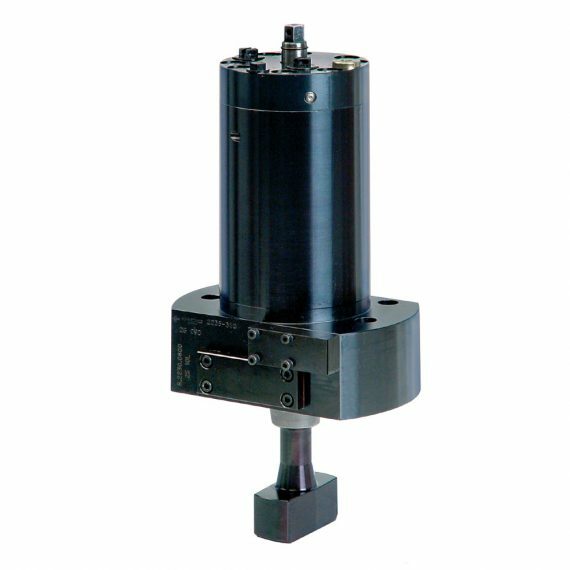 The piston is guided by a guide pin in such a way that during the stroke a 45° rotation is carried out. 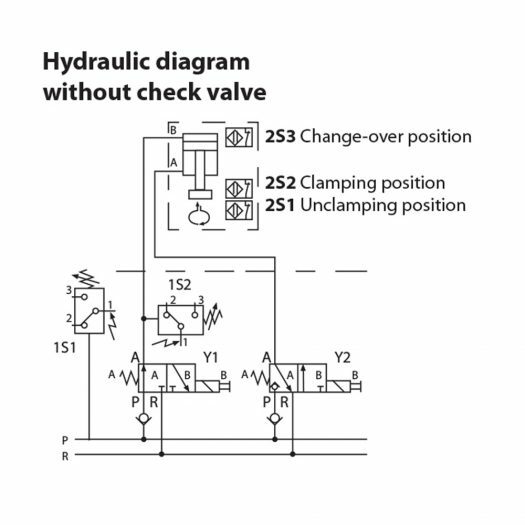 For clamping, the tie rod is rotated by 90° from the unclamping position and pulled against the clamping surface through the existing clamping slots. 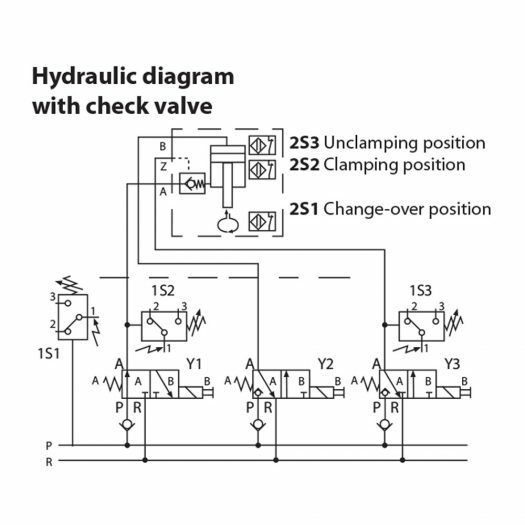 The unclamping, change-over and clamping positions are monitored by inductive proximity switches. The swing mechanism is protected by a spring-loaded overload safety device and equipped with manual emergency operation.